Style 399 is a mechanically pressed grey felt manufactured from wool and wool blends. Style 399 meets SAE F-13 and ASTM 9R4. 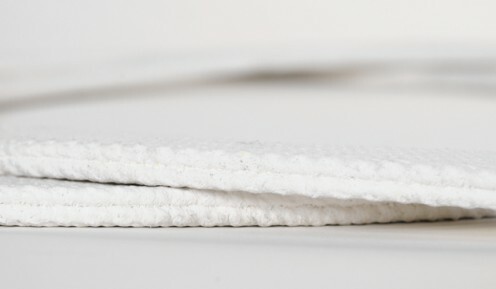 At the proper density and firmness, felt can seal in lubricants or seal out contamination. It is one of the few materials, which will perform satisfactorily on a cost/effective basis for many packing applications. 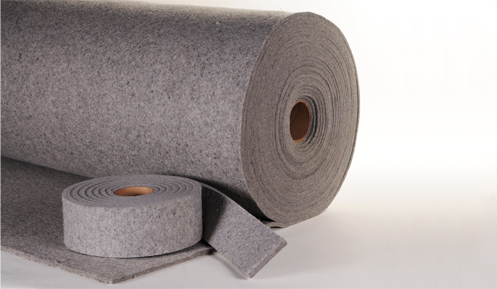 Felt can be used for grease seals, dust shields, and gaskets on large doors and lids. Style 403 is a woven thermoglass roving fabric in a plain weave colored with orange pigment. Applications include fire blankets, gasket cloth, welding and stress relief blankets, and drop cloths. Resistant to most chemicals and solvents, good flame protection to temperatures up to 1000º F.
Solvent, Sunlight, and Age Resistant. Roll Length – 50 yds. Chemical Resistance Most chemicals except Hydrofluoric, hot phosphoric acid and wet hydrogen fluoride. Silica fabrics have become the preferred choice in protection of equipment and personnel in high temperature applications. There are two satin weave silica fabrics from which to choose that can withstand molten metal temperatures and offer protection at continuous temperatures up to 1,800 ºF (1,000 ºC). Both fabrics can be used or fabricated as welding drop cloths, stress relief blankets, protective screens/covers, furnace curtains, insulation mats and cable tray wraps. It depends upon the weight/thickness/strength factors as to the fabric that is best cost effective choice. Style 921 is made from rubberized, woven synthetic cloth in a solid roll-up construction of either square or rectangular cross section. Groove luting is available standard or with a graphite finish. 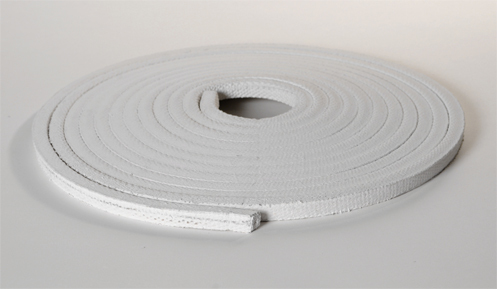 Style 921 is an excellent alternative to asbestos luting and groove packing for door gasketing applications at temperatures to 500º F.
Weights for Groove Luting 3/8" = 10.25 lbs./100 ft.
1/2" = 18.75 lbs./100 ft.
5/8" = 27.00 lbs./100 ft. 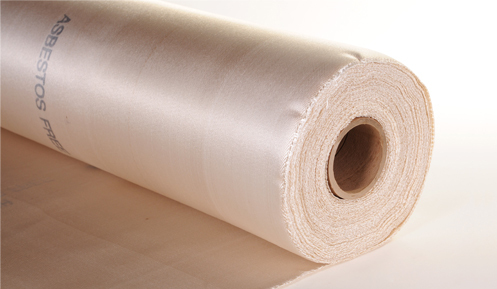 Style 962 is a folded woven fiberglass cloth manufactured from high grade, textured fiberglass yarn, having six times the strength of asbestos, eliminating the need for a wire insertion. This yarn is woven into cloth and treated with a high temperature rubber compound. This material is available only in gasket form, no bulk sheeting available. Style 962 is particularly useful on irregular or uneven flanges sealing hot air, gas, and low-pressure steam at temperatures to 500 ºF. Primarily used on boiler doors, furnace doors, lids and vessels.